Professor Bigelow received his BS in Engineering Physics (1981) and his BS in Electrical Engineering (1981) from Lehigh University, and his MS and PhD (1989) in Physics from Cornell University. He then joined the Technical Staff of AT&T Bell Laboratories, where he remained until 1991. Early in 1991, he moved to the Ecole Normale Superieure in Paris, France where he worked in the Laboratoire Kastler-Brossel. Professor Bigelow joined the University in 1992, where he presently holds the position of Professor of Physics and of Optics. In 1992, he was also appointed as a Scientist at the Laboratory for Laser Energetics. Professor Bigelow has been the recipient of a Sloan Foundation Fellowship, a David and Lucile Packard Foundation Fellowship, and a Young Investigator Award from the National Science Foundation. Professor Bigelow is the Chair of the Fundamental Physics Discipline Working Group in the NASA Microgravity Physics Program, and he has been the organizer and co-organizer of various research meetings and conferences. Professor Bigelow has served as an invited researcher in the laser cooling groups at the the Laboratoire Kastler-Brossel in Paris, France, the Institude d'Optique in Orsay, France and at the University of Sao Paulo in Brazil. Professor Bigelow won the Award for Excellence in Undergraduate Teaching, Department of Physics and Astronomy, University of Rochester twice (in 1998 and 2006), and has served as the Director of Undergraduate Studies in the Department of Physics and Astronomy (1998-2004), as the Chair of the Board on Academic Honesty for the College (1998-2004), as co-Chair of the Re-accreditation Committee of the College (2002-2004), and has served as Chair of the University of Rochester Presidential Search Committee (2004). He received the University Dean's Award for Meritorious Service in PhD Defenses in 2003, and elected fellow of the American Physical Society in 2004, and Fellow of the Optical Society of America in 2007. In 2004 he was selected as a Topical Editor for Optics Letters which is published by the Optical Society of America. He has served as Department Chair since July, 2007. Professor Bigelow's research interests are in the areas of Quantum Optics and Quantum Physics. His recent work has focused on the creation and study of ultra-cold quantum gasses, the manipulation and control of atomic motion using light pressure forces, the laser cooling and trapping of atoms and molecules, Bose-Einstein Condensation and the basic quantum nature of the basic atom-photon interaction. Professor Bigelow's current experimental research activities center around the creation and manipulation of ultracold atomic vapors which are mixtures of atoms of distinct atomic species. Current projects include the realization of a two-species Bose-Einstein condensate, the application of quantum control and ultra-fast spectroscopy to the creation and manipulation of ultracold molecules, including heteronculear molecular species and in the cooperative behavior of ultracold molecular vapors. Experiments are also underway on quantum noise in atomic measurement. 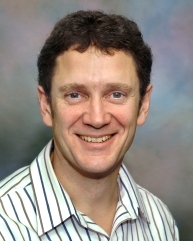 Professor Bigelow's group is also engaged in theoretical research and current projects include the investigation of Bose-Einstein condensation of atomic vapors with internal degrees of freedom such as spinor condensate, multi-component Bose-Einstein condensates, atom lasers, atom-atom interactions and cold collisions, and self-organization of dense, ultracold polar molecular vapors. More details about the activities of Prof. Bigelow's research group can be found here. Professor Bigelow is a member of the Rochester Quantum Information Center and the University of Rochester's Materials Science Program and is a cohort of the Rochester Theory Center for Optical Science and Engineering.